Anchor's Sand Villa 1 - it's always a good day at the beach! 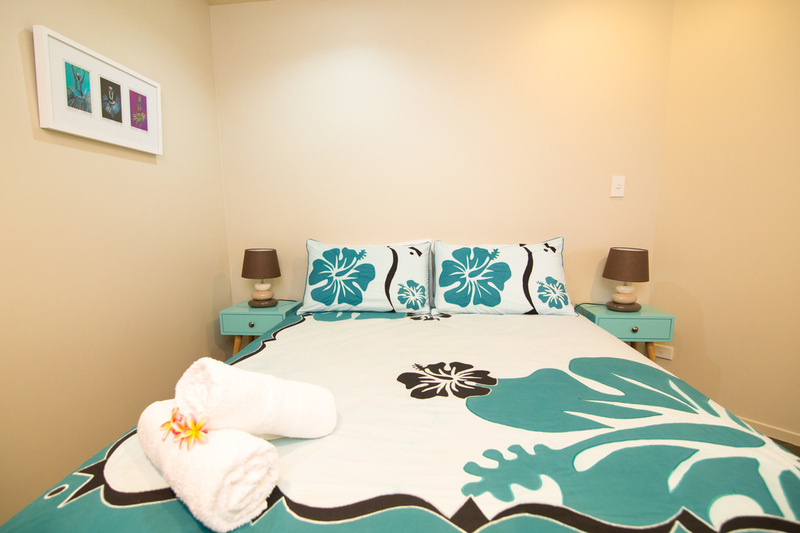 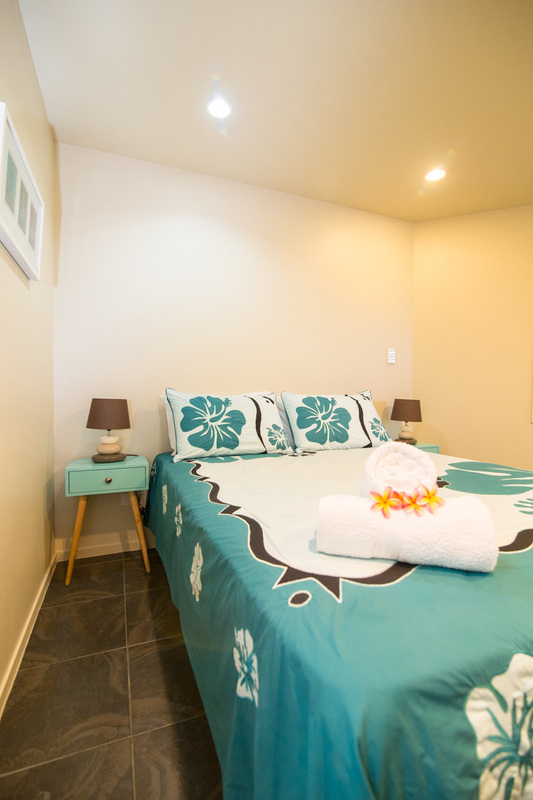 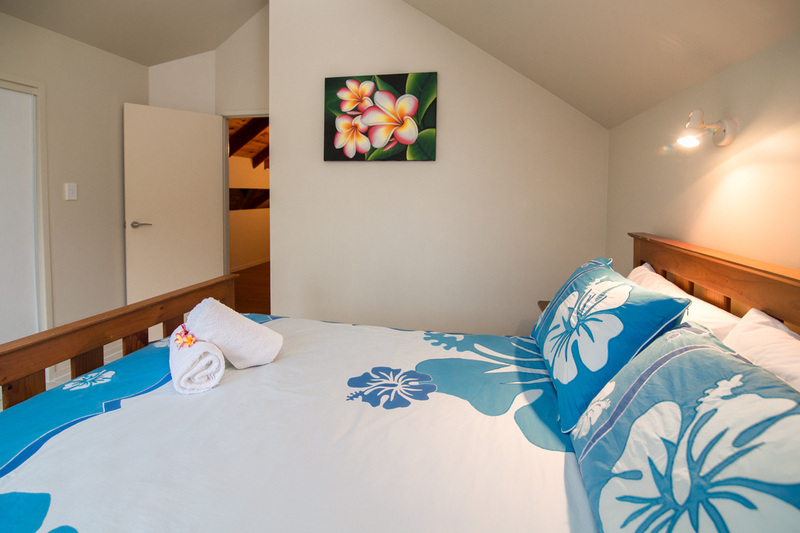 This executive style holiday home has 2 stories with 4 large bedrooms and 2 bathrooms located absolute beachfront on Tikioki beach. 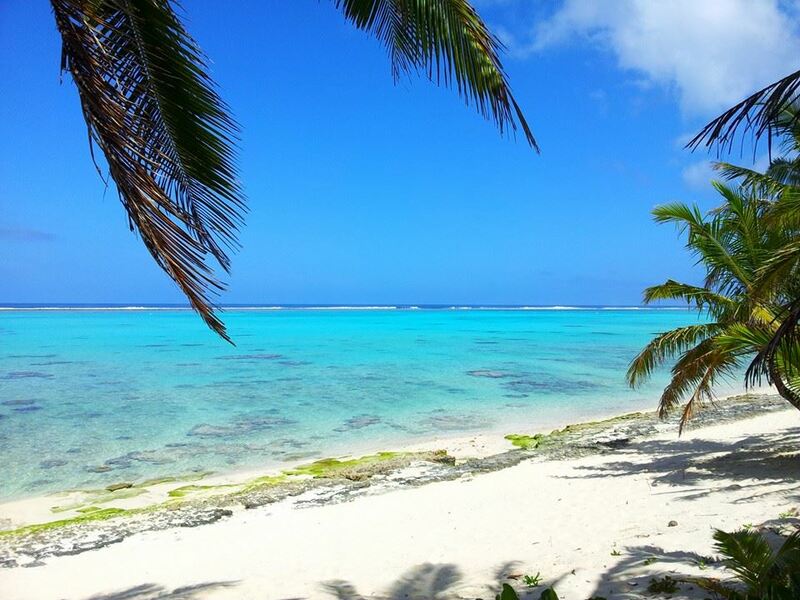 Tikioki beach is home to Fruits of Rarotonga famous for its snorkeling. 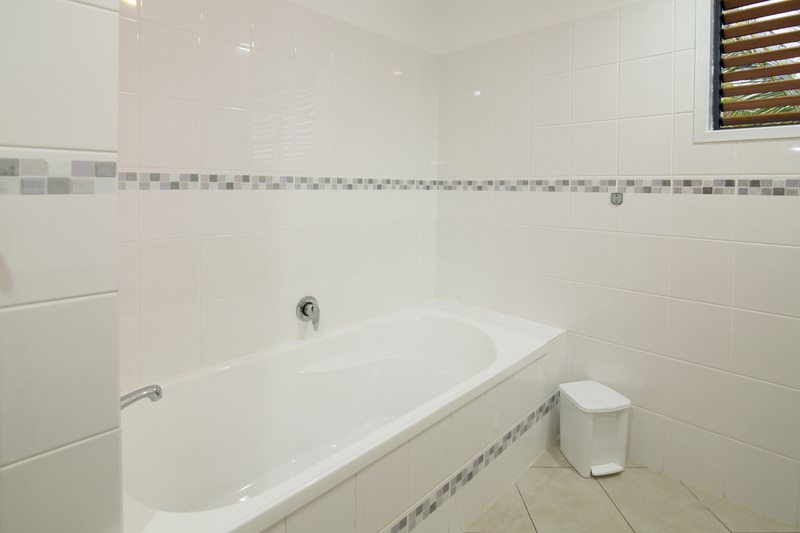 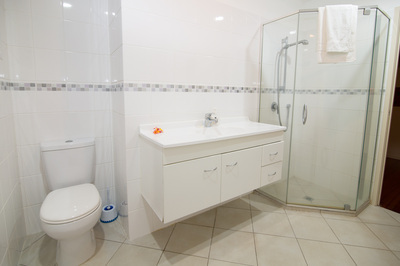 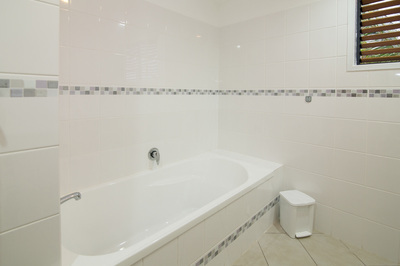 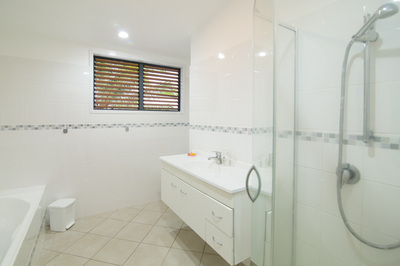 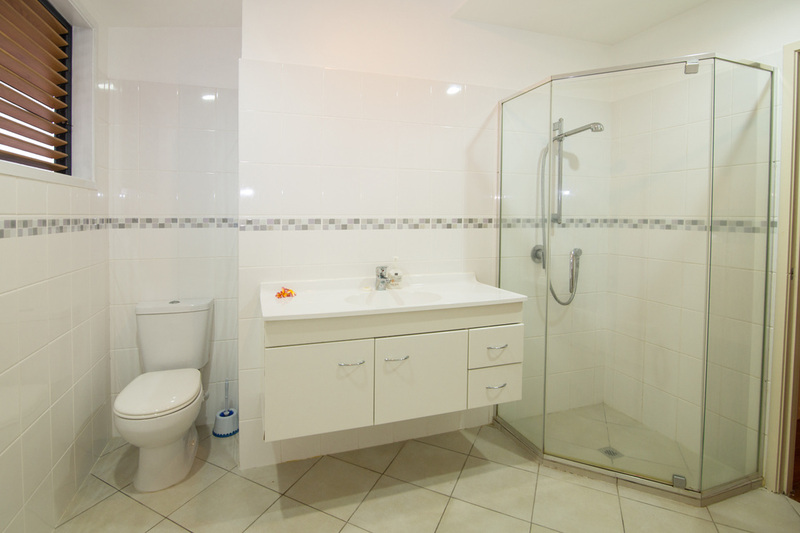 The house is comprised of 3 bedrooms upstairs with a full bathroom including a bath. 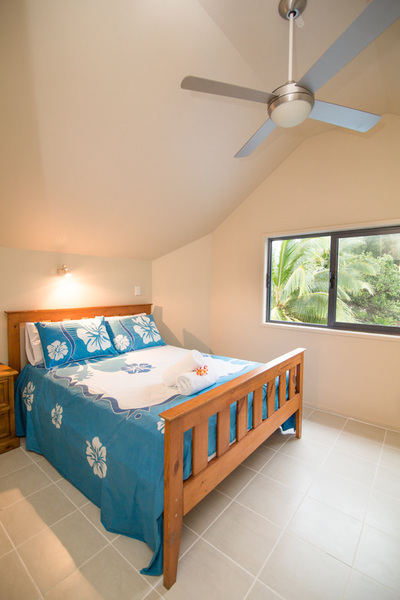 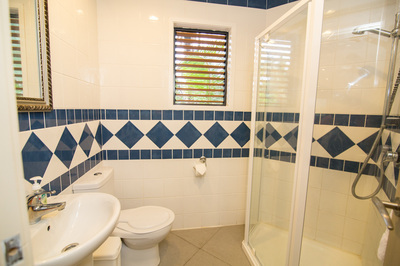 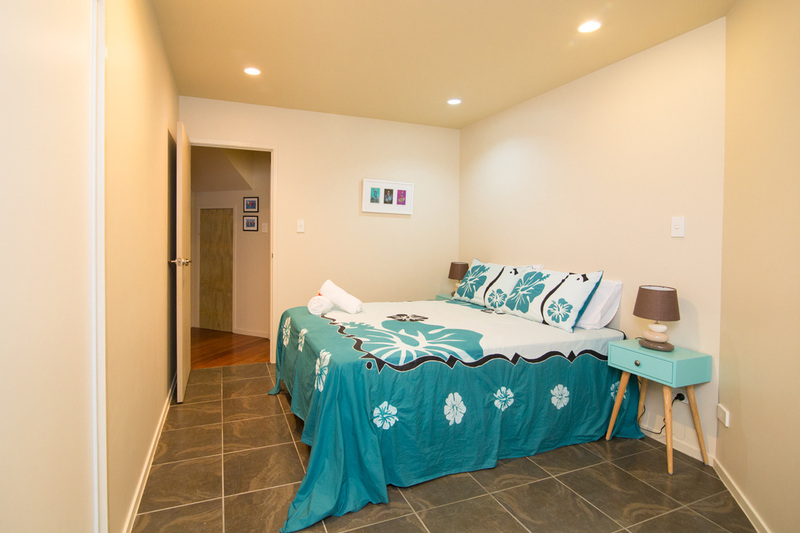 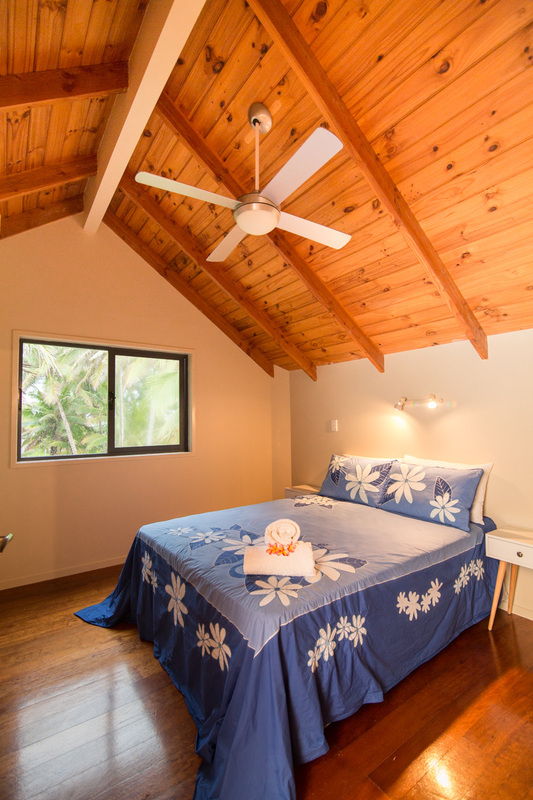 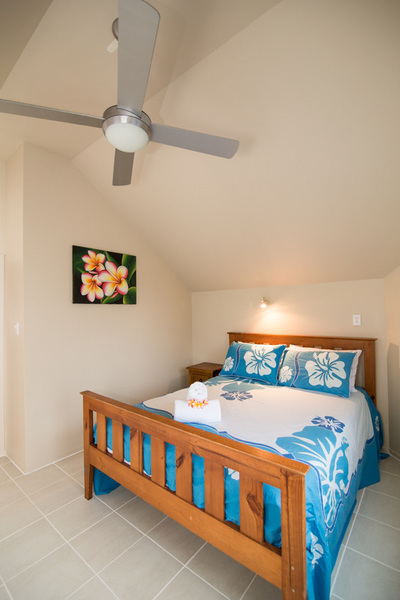 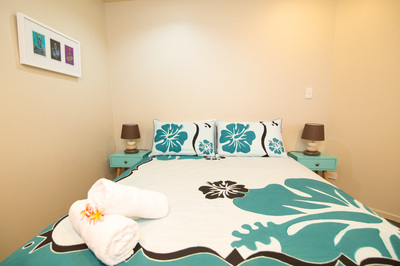 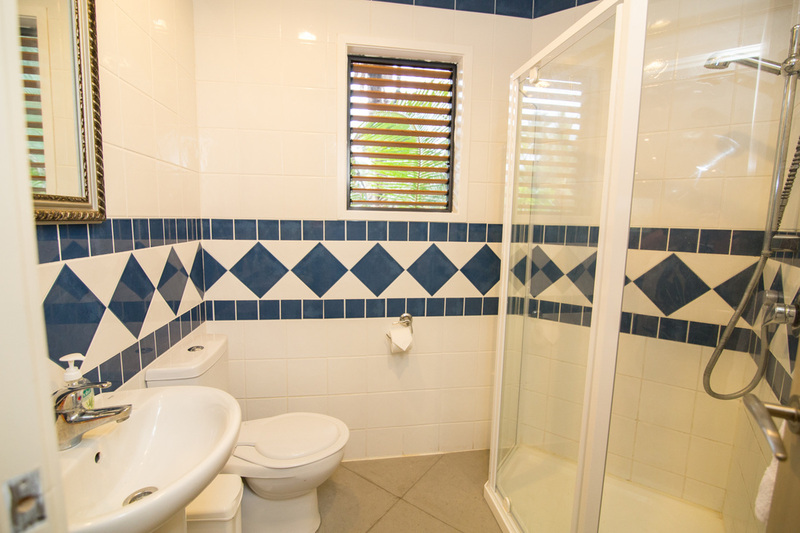 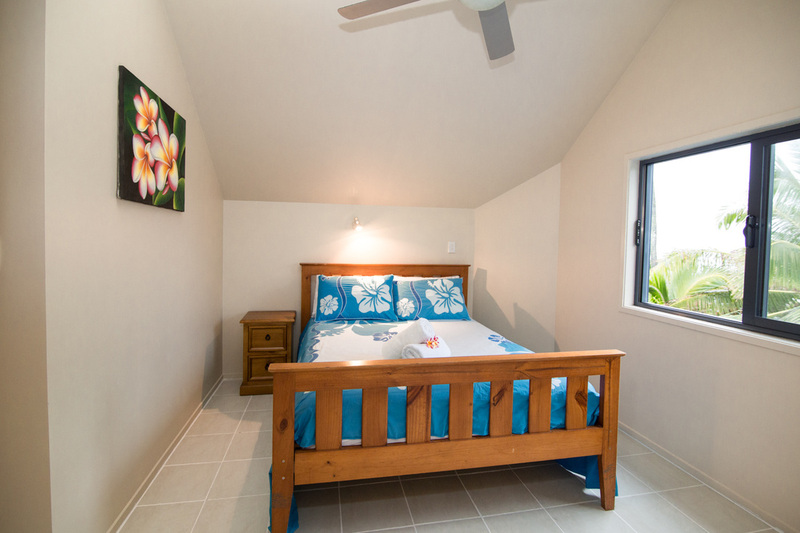 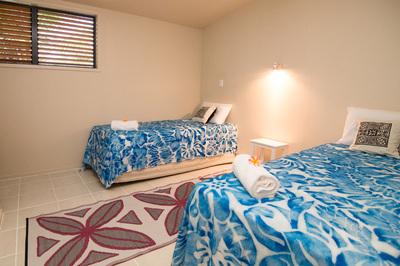 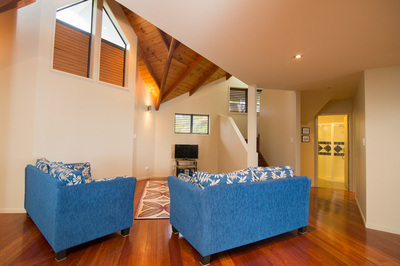 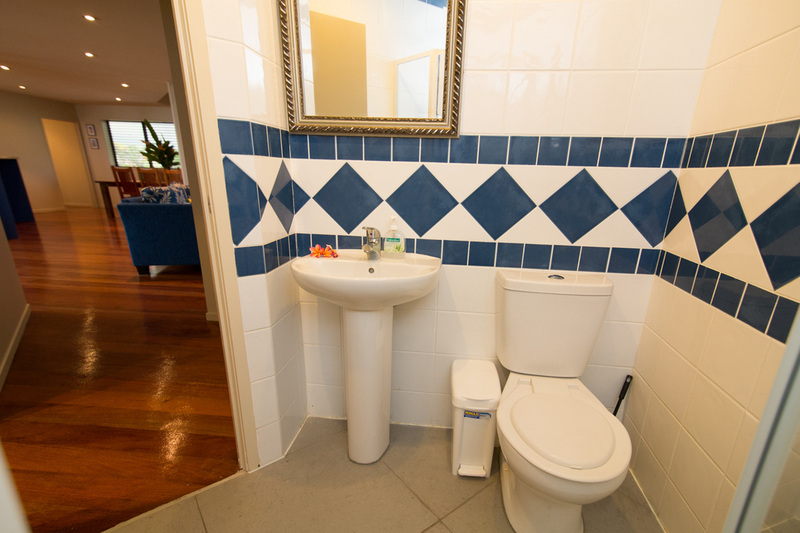 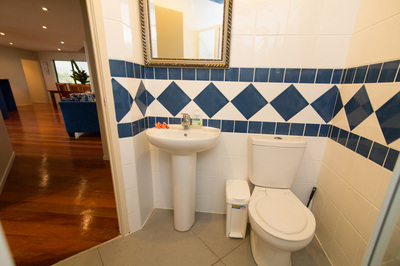 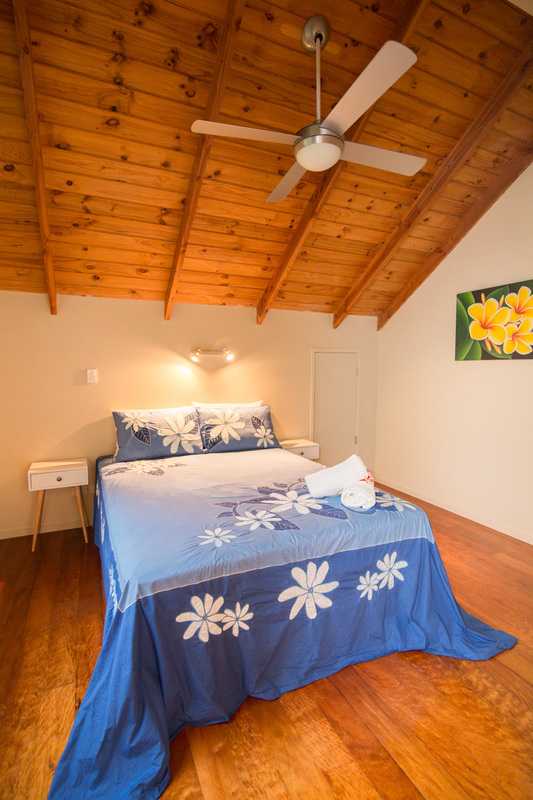 Downstairs there is another bedroom and bathroom, the bedroom has expansive views over the lagoon. 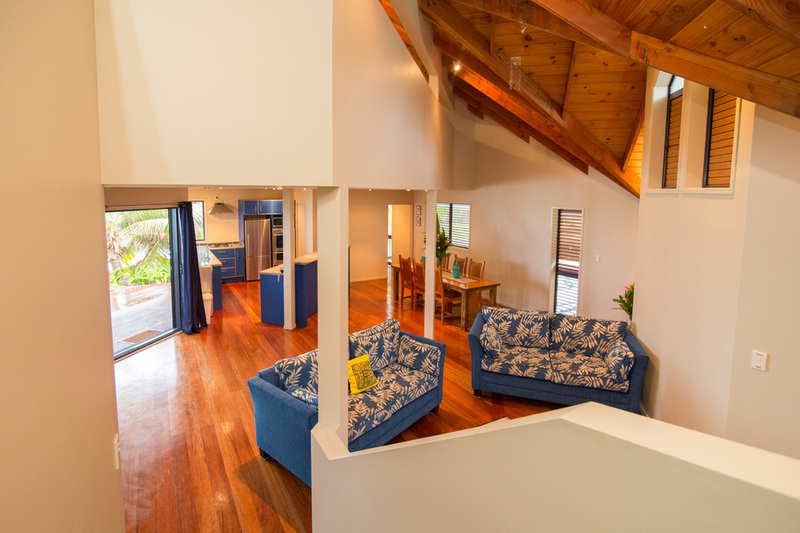 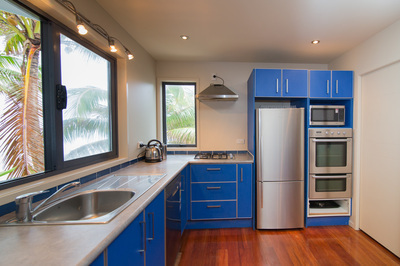 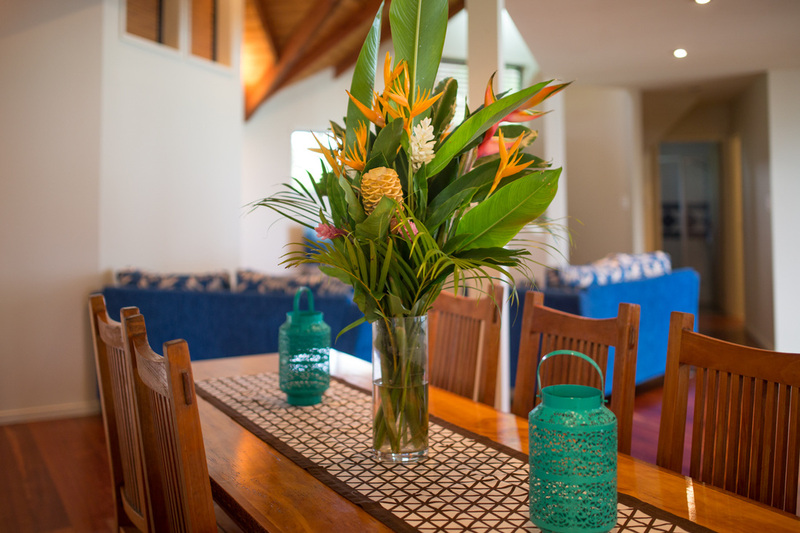 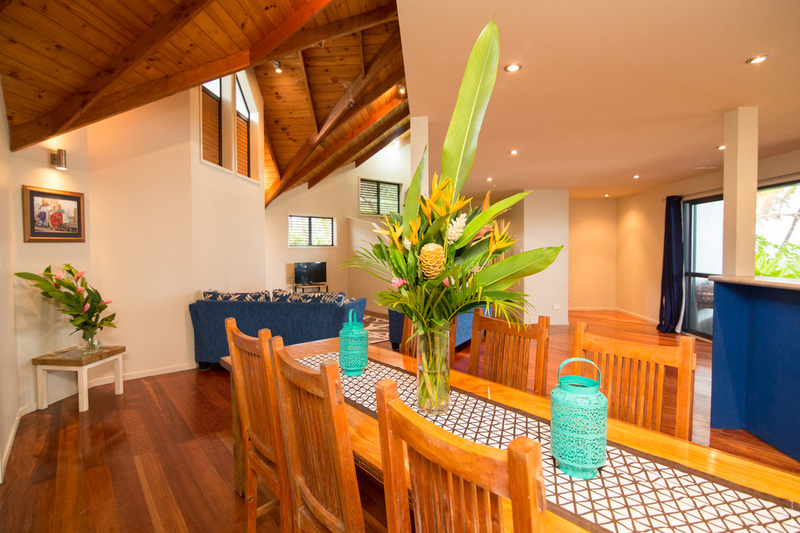 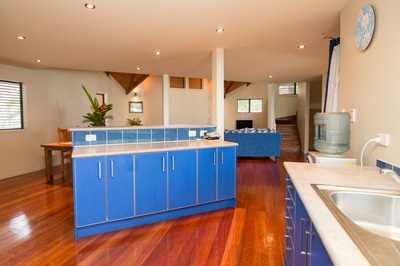 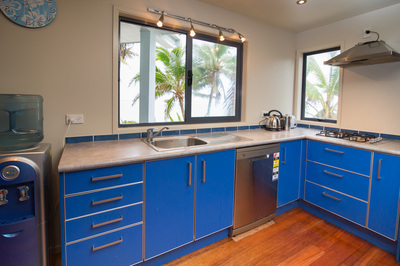 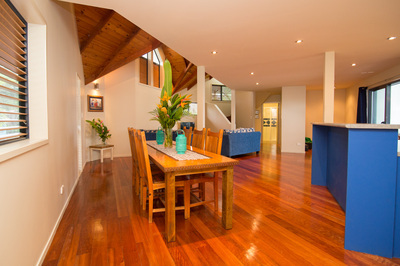 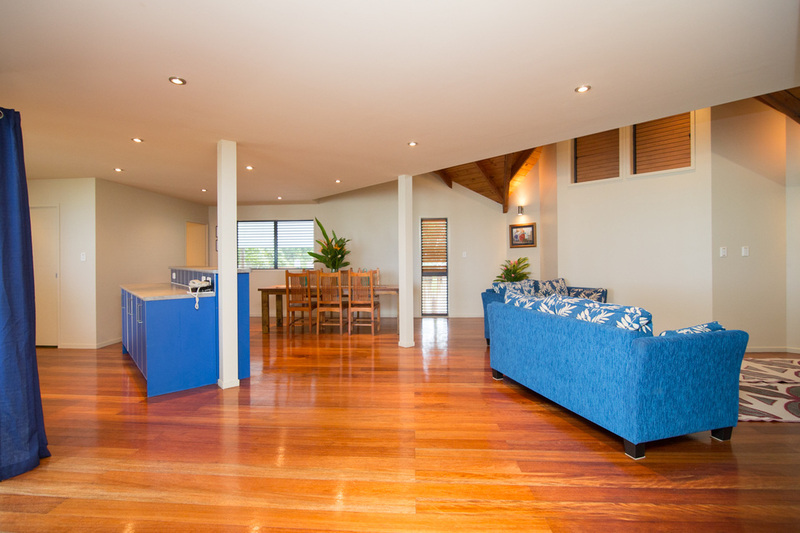 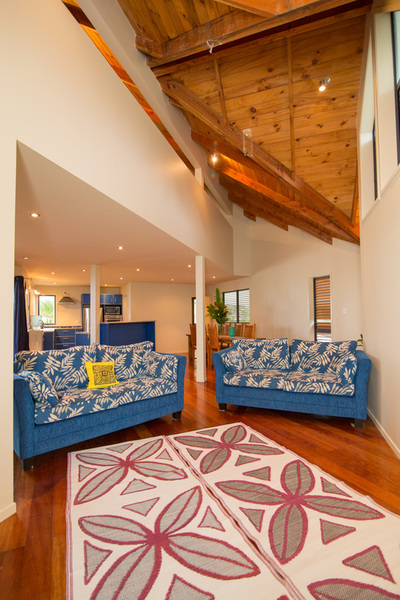 The rest of the house is open plan kitchen / dining and living room with views to the lagoon. 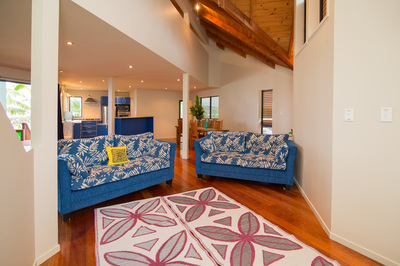 A sliding door opens onto a large deck with outdoor seating, daybed and BBQ to enjoy evening BBQ's on the veranda with wine and cocktails and take in the view. This is a funky modern interesting house with corners and nooks with a great relaxed feel. 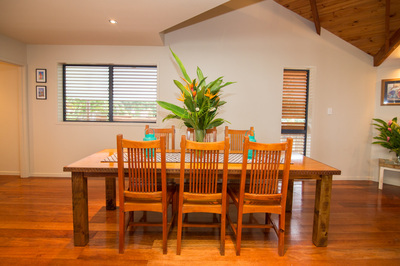 Lovely polished floorboards throughout, custom made dining table with modern furniture. 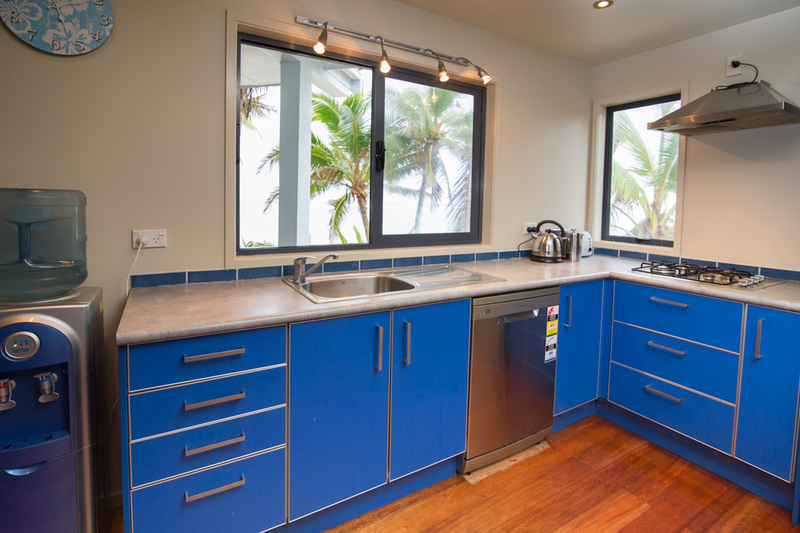 Enjoy a fully equipped modern kitchen with stainless steel appliances, dishwasher and microwave with all the mod cons, there are laundry facilities with indoor and outdoor clotheslines. A Television along with a media player with a large selection of movies along with a Stereo with CD player. 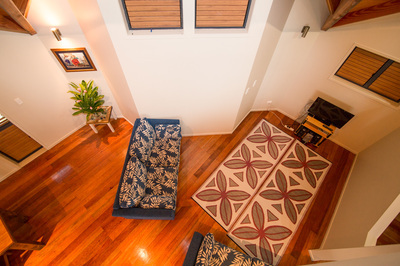 A Wi-Fi Hotspot is also available throughout the house. 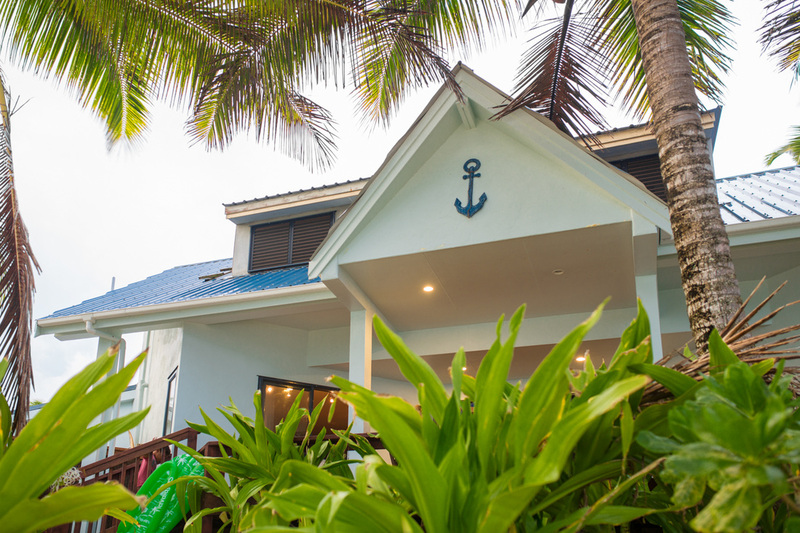 The house is serviced every 3 days. 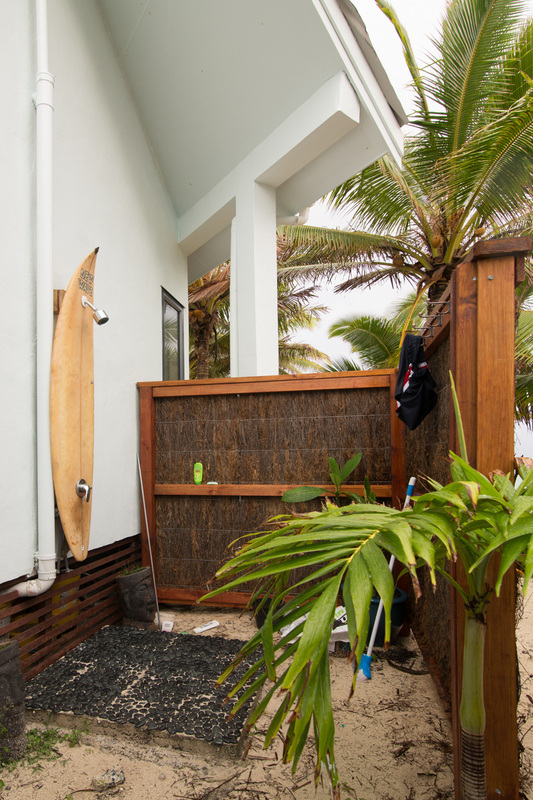 The house is fully insect screened with security doors. 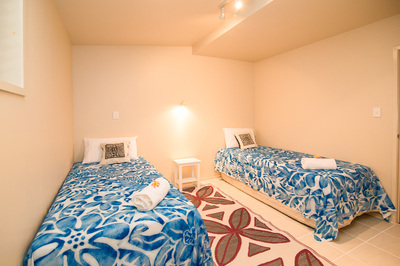 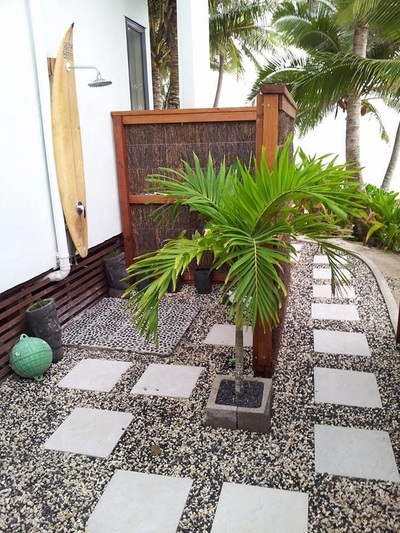 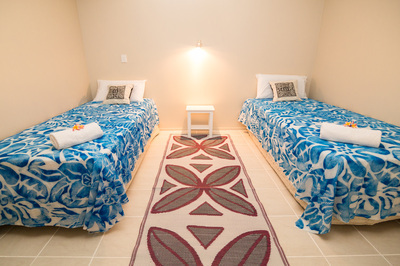 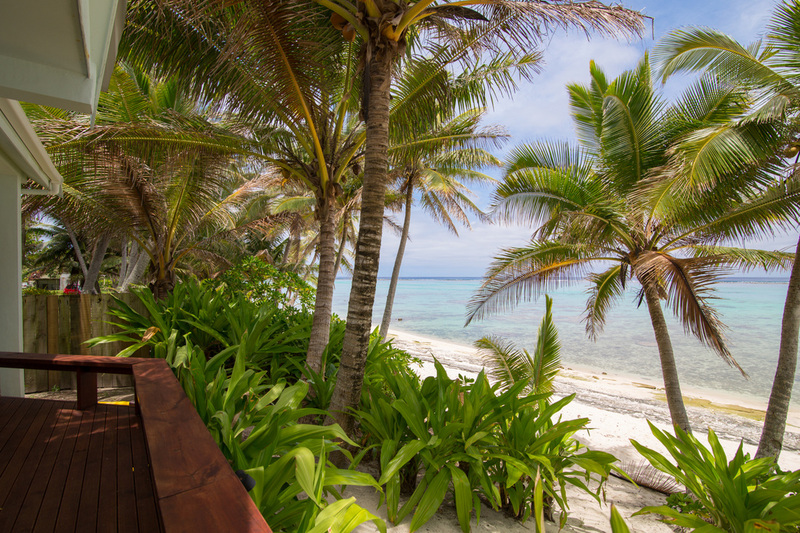 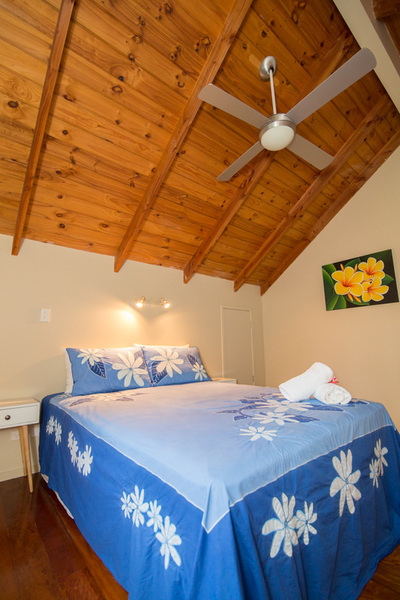 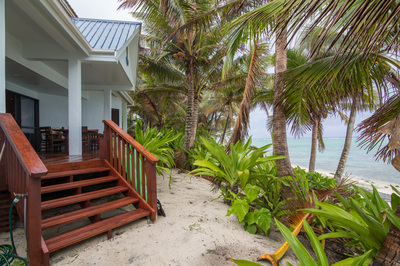 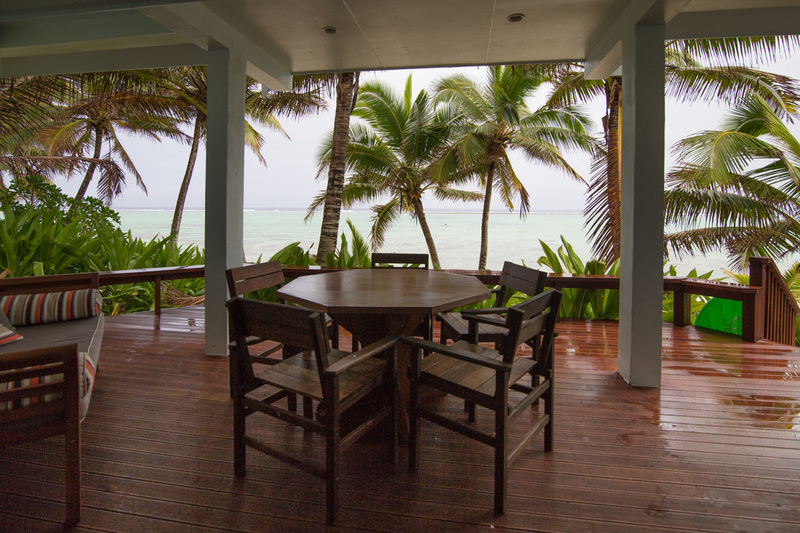 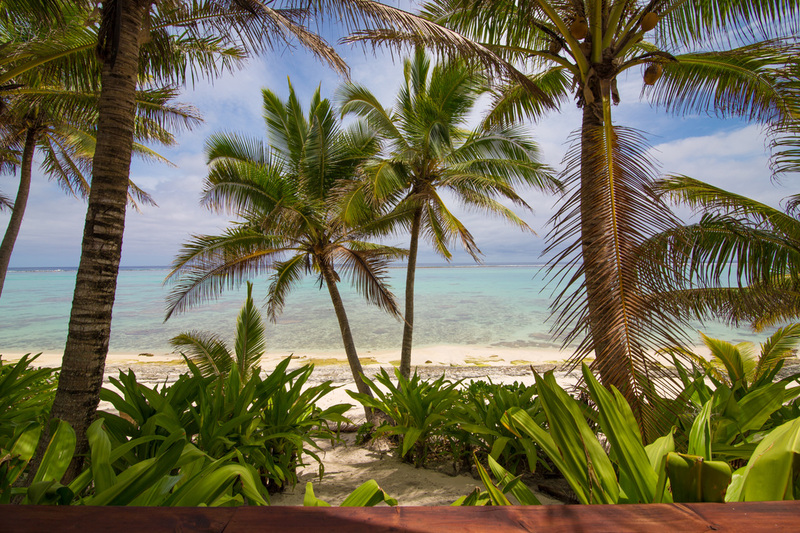 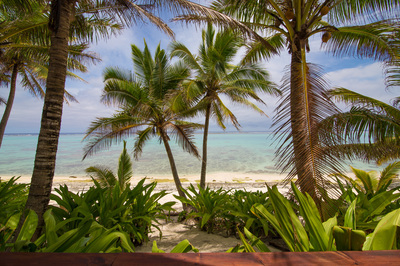 The property is fenced for privacy, snorkeling gear, a hammock and kayaks are provided with the property. 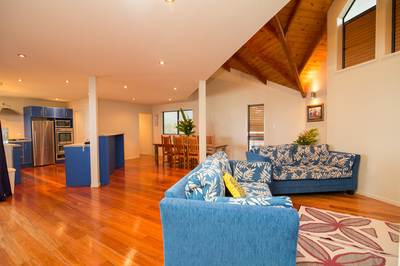 Within walking distance are Matutu Brewery. 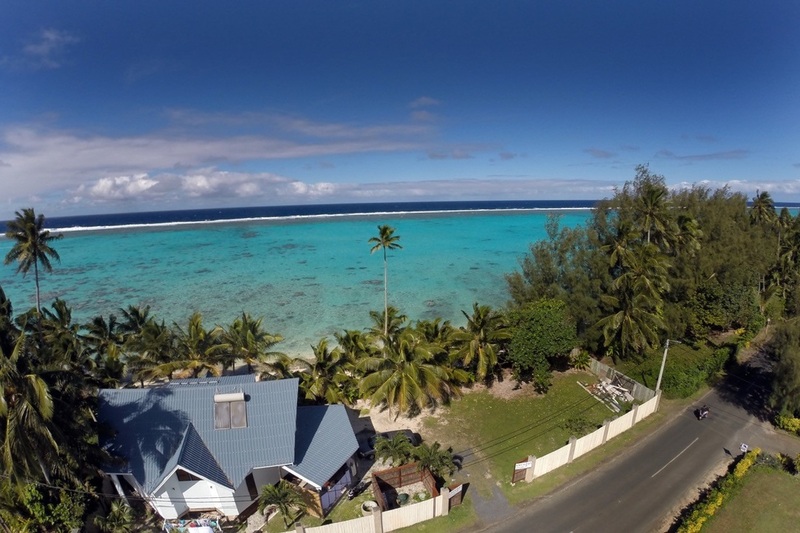 Across the road is Rito Oils, specializing in cold pressed coconut oil and lotions. 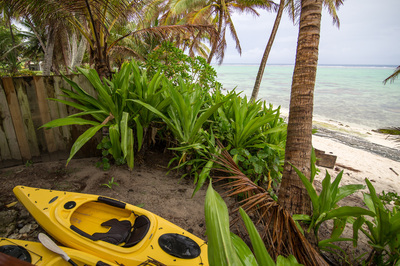 Both the Brewery and the Rito offer tours which are a must do while on the island. 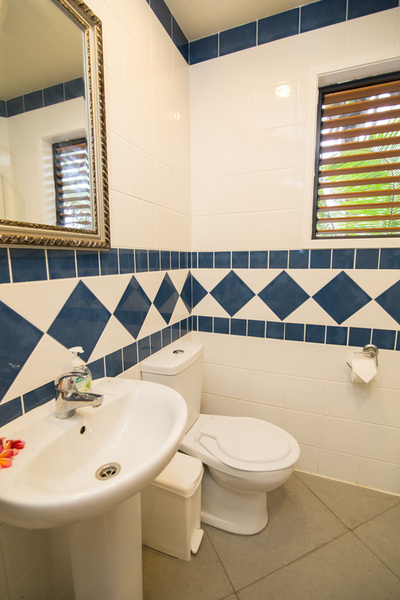 Also within walking distance are local dairies, Charlie’s Paddle Board hire and Chantels Arts & Crafts and Rumours Waterfall Spa.